When Are You Most Likely To Have a Car Accident? Who is Most Likely to Have a Car Accident? In this situation, you might not have another driver that was responsible for your accident and injuries, but you may still have legal grounds to file a lawsuit. You can file against the manufacturer of the defective automotive part, the municipality or government entity that was responsible for inadequate signage, and even the engineers in charge of the roadway design. When Are You Most Likely to Have a Car Crash? 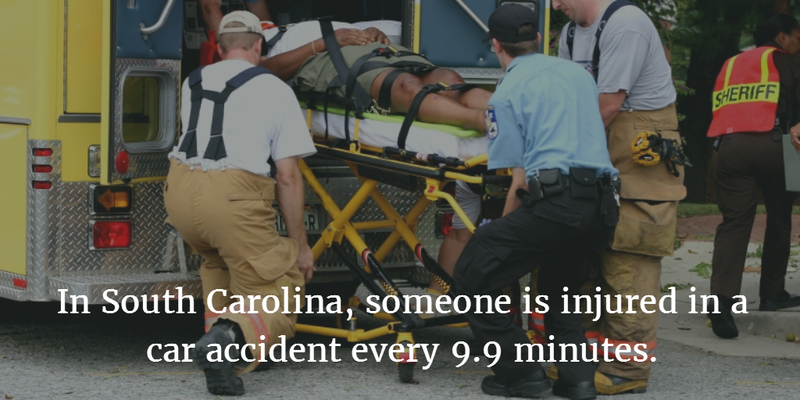 Adult men are the demographic most likely to be involved in South Carolina car accidents, according to this report. Out of the entire state population of licensed drivers, one in 15 was involved in a car accident. Seatbelts save lives: Make every passenger buckle up before the trip; drivers should lead by example when it comes to wearing their seatbelt. Avoid driving while inebriated: Just about every hour in the U.S. a life is lost as a result of a drunk-driving accident. Make time to check tires: Proper inflation paired with unworn treads makes for a much safer ride. More than 35,000 people are killed in motor vehicle accidents each year and more than 2.4 million people are injured, according to statistics gathered by the National Highway Traffic Safety Administration (NHTSA) for 2015. Many of these lives could be saved and many of these injuries could be prevented if more drivers and passengers made safety a priority. Wearing your seat belt and encouraging your passengers to buckle up can save lives. The NHTSA reports that approximately 270 lives are saved for every one percent increase in seat belt use. NHSTA estimates that more than 1,600 lives were saved in 2014 because of the use of motorcycle helmets and that an additional 600 lives could have been saved if all motorcyclists had worn helmets. In 2015, over 10,000 people were killed in alcohol-impaired-driving crashes. On average, someone died every 51 minutes because of a drunk driver. Fatal crashes occurred 3.5 times more often during nighttime hours. And drunk driver crashes occurred more often on the weekends. Avoiding driving during peak drunk driving hours can help reduce your risks of being involved in a drunk driving accident, and, of course, making it a rule to never drive under the influence of alcohol can save lives. Almost 3,500 people lost their lives in distracted driving accidents in 2015 and 391,000 people were injured. Although anything that takes your mind, eyes, and hands away from driving can be classified as a distraction, in recent years, the rise of cell phone use and other electronic devices while driving continues to pose a threat to everyone’s safety on the roadways. Putting the phone down and saving the texts for later is the only way to guarantee that your full attention is focused on the road. In 2015, 5,376 pedestrians were killed in auto accidents and 70,000 people were injured. Although there is no one cause for auto-pedestrian accidents, both drivers and pedestrians can be more aware of their surroundings and more cautious in watching for one another when sharing the roadways. Being aware of the many causes of auto accidents is the first step to preventing them. Once you understand why accidents happen, you can begin to take precautions to prevent them. Although not all accidents are preventable, you can decrease your risk for being involved in an accident with these tips. As a driver, watch for pedestrians who are not in crosswalks, especially children or animals who may dart into the roadway. Be aware of an increasing population of older people. Their reflexes while driving may be slower, and their gait will be slower. Develop patience during traffic jams. You are not going to get to your destination any faster by losing your temper, and you will increase your chances of an accident. Leave earlier or take a less-traveled route. Weather-related accidents are often avoidable. By law, you are required to drive in accordance with road conditions. Slow down when roads are wet or icy, even if it means slowing to a snail’s pace. Slow down in high winds. Leave plenty of space between you and the vehicle in front of you. That amount of space is often described as two to three seconds of driving time, but add one additional second for every ten miles per hour over 40 miles per hour, and two if you are driving a longer, heavier vehicle. Side winds can make it harder to control your vehicle, passing large trucks, or pulling trailers can subject you to sudden changes in the effects of wind on your vehicle. High winds and wet or icy roads can cause you to lose complete control. The modern telecommunications society presents us all with an impressive number of conveniences. No one would deny that the ability to reach a loved one at any time of day, no matter where you are, is a tremendous advantage. Of course, there is really an infinite number of distractions, and an exhaustive list is impossible. The important thing to remember is that distracted driving is a form of negligence, and it can result in innocent people suffering serious, perhaps even fatal, injuries. When a buzzed or drunk driver gets behind the wheel, that person is making the selfish decision to drive intoxicated and endanger the safety and well-being of everyone on the road. Drunk driving causes injury in a crash every two minutes. Twenty-seven people die as a result of drunk driving each day. One in three people will be involved in a drunk driving accident during their lifetime. Of the 300,000 incidents of drunk driving each day, only 4,000 drivers are arrested. A drunk driver will drive drunk 80 times before being arrested. What To Do If A Drunk Driver Injures You? The first step after any car accident is to get the medical help you need. Then you should talk to an experienced attorney about your case. Insurance companies may pressure you to settle your case before you have received all the medical care you need and for less than your claim is actually worth. At McWhirter, Bellinger & Associates, we can help you understand your rights and ensure that you are being offered fair and adequate compensation for your injuries. If you’ve been involved in a serious accident caused by a drunk driver, our experienced attorneys can fight on your behalf to build the most effective case possible for maximizing any compensation you receive. If you are not obviously injured, when the officer asks if you are hurt, politely tell him or her that you won’t be sure until a doctor examines you. “Soft tissue” injuries sometimes take two to three days to present symptoms. 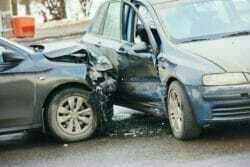 For some other types of injuries, symptoms may not become evident for weeks after the accident. About how much do you think my case is worth? Why should I choose you as my car accident lawyer? How long do you estimate it will take to resolve my case? Are your attorney’s fees contingent upon recovery of compensation? What does that mean? Who at your law firm will be handling my case? Will I be able to get in contact with the lawyer handling my case if I have a question or concern? Can you tell me about some of the verdicts and settlements you have achieved in auto accident cases in the past? We encourage you to ask any and all questions you have on your mind. When you or a loved one is hurt, or when a loved one is tragically killed in an auto accident caused by someone else’s negligence or by a defective vehicle, you deserve compensation to get on the path to restoring financial, physical, and emotional well-being. Negligence, or carelessness, that leads to an accident and injuries is the basis for an accident claim. 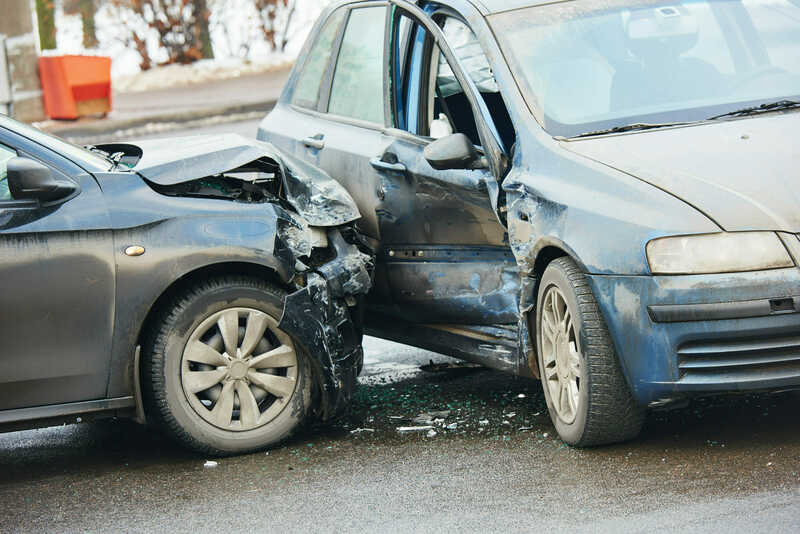 Whether the carelessness originated with another driver, an auto manufacturer or another party, our attorneys can deal with these opponents to pursue compensation for your injuries. You should not have to deal with the burdens of medical bills, lost income, and pain and suffering without holding the responsible party accountable. If an insurance company is refusing to give you the compensation you need, we will be your advocates to fight for what is in your best interest and to help you and your family recovery from the aftermath of your accident. If you or a loved one was injured in an auto accident in or around Sumter, Lexington, Camden, Columbia, Orangeburg, Newberry, or anywhere in South Carolina, please contact McWhirter, Bellinger & Associates, P.A., at 888-353-5513 for a free case evaluation. Our attorneys will fight tirelessly to recover maximum compensation on your behalf. Call us today to schedule a free case review.When you are injured in a car accident, you will undoubtedly have many questions about what happens next. Below we have answered some of the common questions we hear from clients. At McWhirter, Bellinger & Associates, P.A., our experienced car accident attorneys offer free consultations to help you understand your rights and the next steps in your legal case. Call us today at 888-353-5513 for your consultation. No. Nine times out of ten, insurance companies will offer you much less than you deserve as an initial settlement. They want to make your claim go away as quickly as possible, and they know that car accident victims are desperate for any amount money right after an accident. Before you accept a settlement from an insurance company, you should speak with our experienced lawyers to find out the true value of your injury claim. If you were seriously injured in a car accident, having an attorney on your side can make all the difference in the amount of compensation you receive. Insurance companies are used to giving accident victims the runaround, but as soon as you hire a lawyer, they will start paying proper attention to your claim. An experienced accident lawyer has the skill necessary to prove your case and convince the insurance company that you deserve full compensation. While you focus on recovering from your injuries, our attorneys will investigate your car accident to gather the information, evidence, and witness testimonies we need to build a strong case on your behalf. Yes. Many clients are concerned that they do not have the money to hire a lawyer. We take all accident cases on a contingency fee basis, meaning that we don’t get paid until you do. What damages can I recover from car accident injuries? If a drunk driver caused your car accident, you may also be able to seek punitive damages for gross negligence. And if you lost a loved one in the car accident, you may be able to seek damages and justice for their loss of life. How do I know who was at fault in the car accident? I was very pleased at the service I received from McWhirter, Bellinger & Associates. Any problems I had they were sure to fix them right away. I would recommend them to any and everyone because of the service I got. When you treat others right it will always show. Thank you all so much for everything.